IKV welcomes and supports opportunities for international guest scientists to stay at IKV to work on a specific research project at the Institute. Every year, several guest scientists are taken on at IKV. They come from a wide variety of different countries such as Italy, Colombia, Turkey, and Israel, and are usually integrated into the IKV research groups for several weeks or months. In addition, IKV sponsors various international exchange projects in which the scientific assistants of the Institute can participate. Since April 2018, Professor Dr. Jian Wang has been at IKV as a guest researcher for the research project “Development of control strategies for local specific volume control in injection moulding for reduced warpage”. 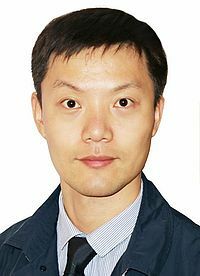 He is a member of Beijing University of Chemical Technology and works at the Laboratory of Polymer Processing and Advanced Manufacturing. He specialises in polymer composites processing, new technologies for injection moulding and extrusion as well as computer aided numerical simulation. In July 2017, Professor Wang was awarded the Humboldt Research Fellowship for Experienced Researchers, through which he also receives funding during his stay in Germany. 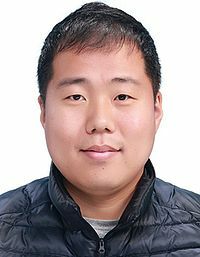 Jae Myoung Son, M.Sc., from South Korea was employed as an external member of staff from 1 February to 30 November 2018 for training purposes in IKV's Part Design and Material Technology department. He studied polymer engineering at Inha University in Incheon, South Korea. He received his Master of Science with a paper entitled "Foaming of polypropylene carbonate with supercritical carbon dioxide". Since January 2012 he has been working for SK innovation, a subsidiary company of the SK Group. The SK Group employs over 84,000 people and is one of the largest companies in South Korea. His task there is to develop and test new products. With his work as a guest scientist at IKV, he wants to gain new findings to improve the processes at his company. 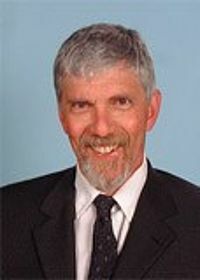 Dr. David Alperstein regularly participates in joint research projects at IKV. Most recently, in 2017, he was involved in the research project "Integrated Computational Materials and Production Engineering". He teaches at the ORT Braude College in Karmi'el, Israel in the field of polymer science and technology, molecular modelling and fluid mechanics. Dr.-Ing. Roberto Spina is a professor in the department of Manufacturing Systems and Technologies at the Unviersity Politecnico di Bari in Italy. He has worked at regular intervals as a guest scientist at IKV since 2010. Most recently, he worked on a project on the subject of "Analysis of the thermal coupling of melt, structure and mould for the accurate prediction of shrinkage and warpage in the injection moulding process". 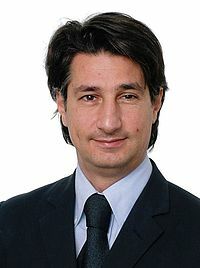 Şükran Katmer worked for a year at IKV as a guest scientist. She comes from Turkey, grew up in Rize and studied mechanical engineering and mould construction at Gazi University in Ankara, where she graduated with an M.A. in 2010. From July 2015 to August 2016, the PhD student lived in Aachen and worked on an Excellence Cluster project on the subject of "In-Mould Metal Spraying" (IMMS). Do you have any questions about IKV's internationalisation strategy? Then I look forward to your call or message.